Buying adena is always a responsible business. It does not matter whether you buy a small amount of game currency or spend a round sum for your amusement, our service will be loyal to everyone and pay the most attention; our reputation and your desire to use our service in the future depends on it. What do you need to know before you buy adena gamecoast? The server gamecoast x3 was created in 2016, during this time it opened only 3 servers (if taken in comparison with other projects such as scryde) it's nothing at all. What does GameCoast server offer its players? - Only the official server files, called the people of PTS. How to place an order for adena x3 classic gamecoast.net? 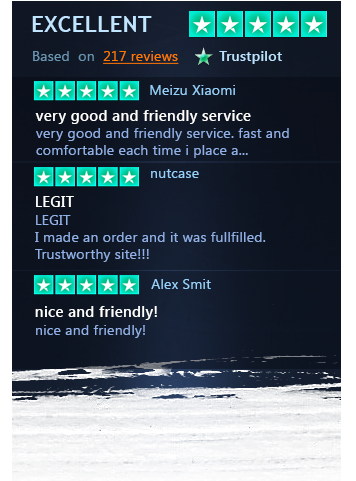 Our service in the market of adena exists not the first year and we have already earned the reputation as excellent and fast guys, we work 24/7 without days off and breaks. All that we need from you is your character's name or tween. After that you can choose the payment method that best suits you and pass to the payment procedure. If you have not received adena within 15 minutes, you should contact the operator, we advise you to clarify the availability before purchasing. If you have a "specific payment" method, such as Bitcoin, Skrill, or through paypal - always contact the operator. The question is - where adena comes from? - We do not "hack" accounts and do not sell them. Leveling a character is always a long grinding of mobs, especially if we are talking about classics. There are several options for boosting. 1) You have a new character and you urgently need to catch up with friends. If it's DD, we dress him up in our gear, give him a full support, and pump on the high level mobs, to the level where we can already take him to the second stage. «Wig farm». If you decide to use the services of our team or not, talk to the online operator and clarify the questions that you have.